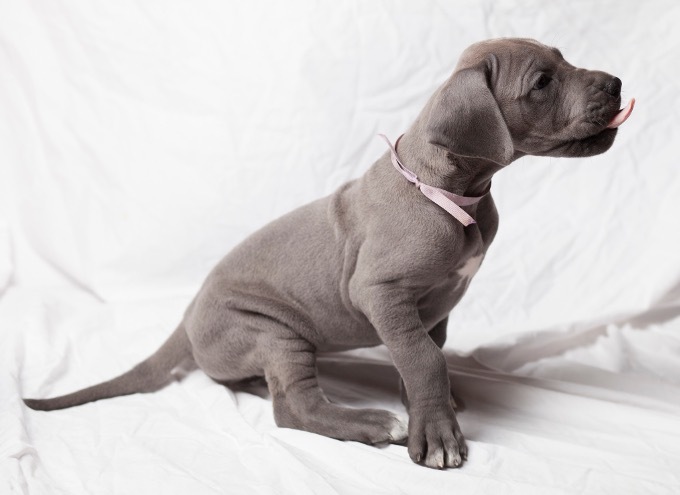 Thinking of getting a Great Dane puppy? Keep reading for all the information you need to build a happy and loving relationship with your new best friend! 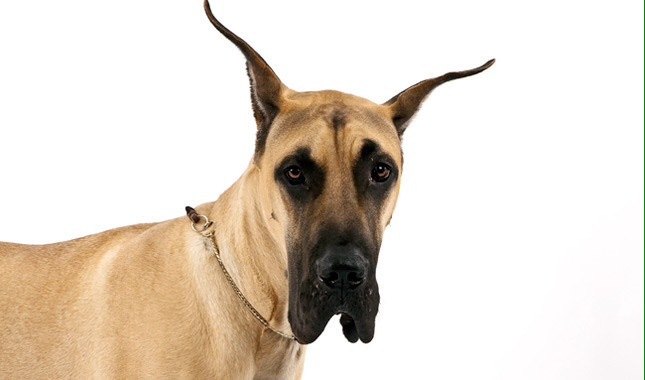 Great Danes are a large working dog who can grow anywhere from 2’4″ to 2’10” and can weigh between 100 and 200 pounds and have a lifespan of 7-10 years. 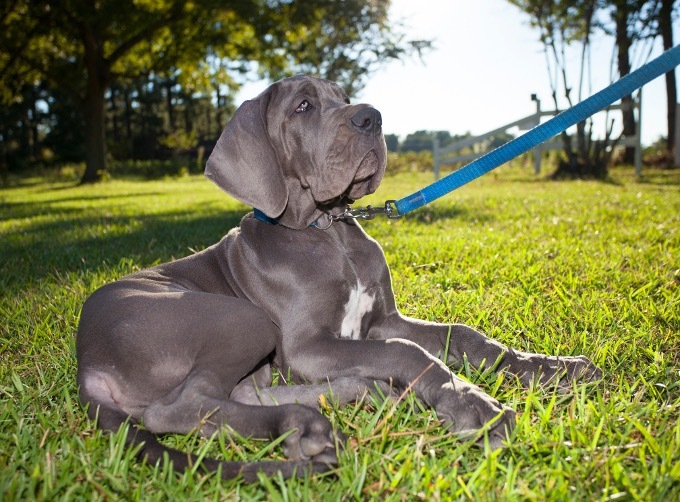 Great Danes are a great choice for small homes or apartments despite their giant size. They are an extremely low energy dog and so once they are settled there isn’t much you can do to get them moving again. This means that Great Danes don’t require a huge amount of exercise; one decent length walk is normally enough for the day. 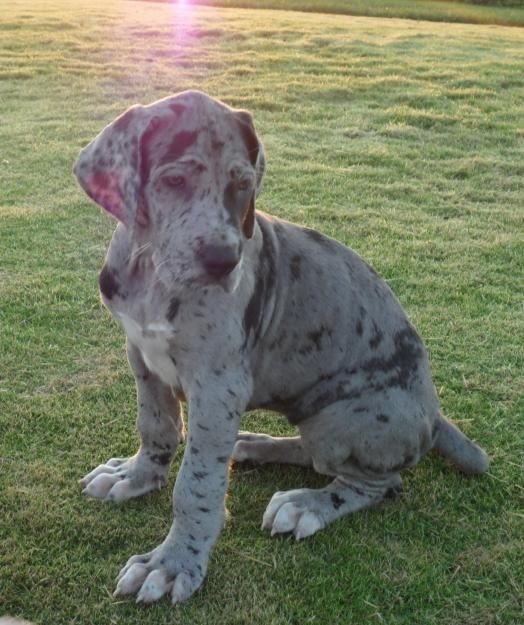 Great Danes are also a brilliant choice for families with young children. They are generally dog friendly, kid friendly and also stranger friendly. Obviously they would need to be trained to not jump on small children as their sheer size and weight is enough to do damage. 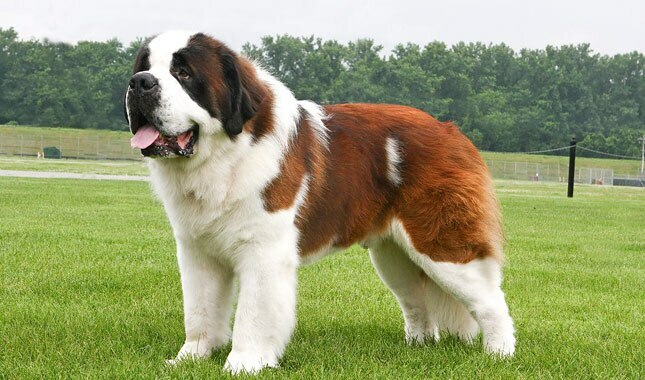 The breed is also extremely easy to groom due to their short coats. 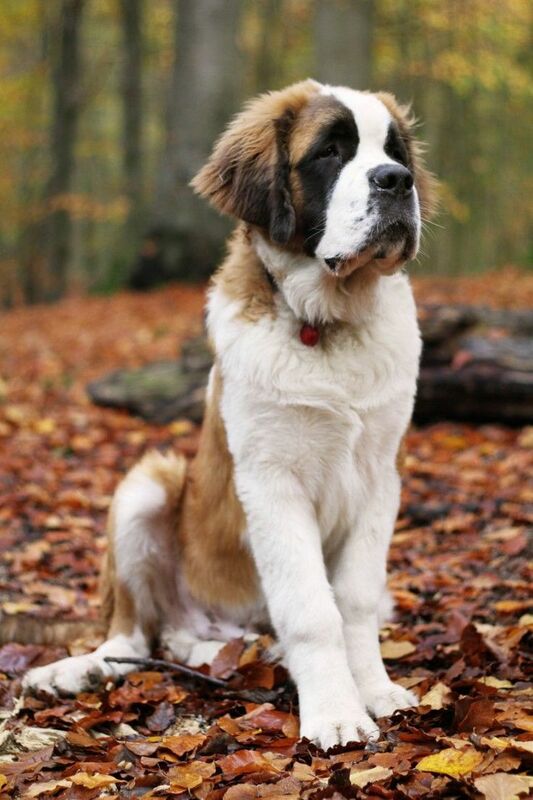 However, these short costs and little body fat makes they susceptible to the cold and so a coat or blanket may be required in colder climates. On the other hand, this makes the dogs extremely adaptable to hot weather! Great Danes are not a breed to choose if you don’t want to be cleaning drool and hair all day as they are a breed that sheds and drools excessively. However, with the right upbringing Great Danes are a reasonably healthy breed. They are of course prone to hip and elbow dysphasia due to their size. Owners who avoid over-exercising and stair walking with their Great Danes greatly dimish this risk to their pup. Training wise they can be difficult as they don’t enjoy being told off. Therefore lots of positive reinforcement training is needed. If this is used Great Danes prove to be easy to train and are mildly intelligent. A drawback to owning a Great Dane is that they hate to be left alone and so will need owners who are home most of the day. I hope this post helps you make your decision on whether a Great Dane is a perfect match for you. If you need any advice please get in touch with me.